Being involved in an automobile crash can be a traumatizing experience, especially if you are seriously injured or lose a loved one. Seattle car accident attorney Chris Davis and the team at Davis Law Group are dedicated to holding at-fault drivers responsible for the damages they case. For more than 25 years we have been helping vehicle accident victims in Seattle and across Washington State get the compensation they deserve. Motor vehicle accident victims suffer the burden of large expenses, including hospital bills, medical treatments and medication, childcare, loss of personal time with loved ones, missed time from work and pain/suffering. An attorney can manage your collision claim so you get a fair settlement for these expenses and more. If you or a loved one has been injured in an automobile collision our Seattle car accident lawyers are here to help you understand your legal rights. Call Davis Law Group at 206-727-4000 to schedule a free consultation. Davis Law Group, P.S. 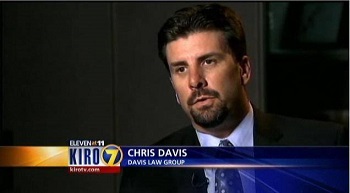 founder Chris Davis is one of the most respected and recognized lawyers practicing in Washington State. Davis Law Group has been named Best Injury Law Firm in Washington State by AI Dispute Resolution Awards. As a prominent Seattle injury lawyer with experience handling motor vehicle accident claims, attorney Chris Davis is often interviewed by local Seattle media covering accident-related issues. Click here to watch TV interviews. There are a few common factors to consider when attempting to determine value of an injury claim. Every case is unique, therefore there is no magic formula for predicting the amount of money a person is entitled to receive after being involved in a motor vehicle collision. There are two types of damages that are recoverable in a automobile collision claim; economic damages, and non-economic damages. Past and future medical bills, past and future lost wages, and the cost of household services are examples of economic damages. Non-economic damages are more subjective, such as mental and physical pain and suffering, and emotional distress. Medical Expenses. You are entitled to compensation for all medical costs related to the injuries you suffered in a Seattle automobile collision. This includes past and future medical care. Non-economic Damages. Pain and suffering, loss of consortium, and emotional trauma are common forms of non-economic damages after an accident. Lost Wages & Earnings. Compensation for wage loss is usually based on how much money you would have earned if you had not been injured. At-Fault Driver’s Insurance Coverage. Our legal team will investigate every possible avenue and source of recovery to ensure that you get what you deserve. If the at-fault driver was carrying a policy with low liability limits, we may be able to identify other sources of recovery. Your Insurance Coverage. If you have Personal Injury Protection (PIP) or Uninsured/Underinsured Motorist (UM/UIM) coverage, your chances of being fairly compensated fully are much higher. Unfortunately, even your own insurance company is likely to put up a fight over these benefits. Potential Litigation. Insurance companies want to avoid the risk of a jury awarding a large verdict to accident victims at all costs. Our experienced trial attorneys can help you get the best possible settlement. Who Pays For Car Accident Medical Bills & Other Damages In Seattle? If you have Personal Injury Protection (PIP) then a certain portion of your initial medical costs - like an ambulance ride to the hospital, initial X-rays and medication, and so on - will be covered by your PIP benefits. Uninsured/Underinsured Motorist (UM/UIM) Coverage may also add additional coverage in the event of a hit-and-run or an accident with a driver who does not have adequate liability insurance. A health insurance policy, perhaps obtained through your employer or by Apple Health, may also provide certain benefits for your medical treatment. 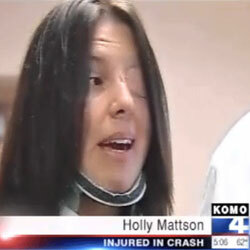 Liability is often biggest question following a Seattle car accident. Liability determines who must pay for the damage caused by the collision. In Seattle liability for an accident is determined by Washington State negligence laws and is based on fault. Washington is a pure comparative negligence state. When means that any person who is at fault for an accident is responsible for that damage. However, if the person claiming damages shared in the fault, then their damage recovery may be reduced in proportion to the amount of shared fault. Whether or not you can recover damages from your own auto insurance company depends on the kind of insurance you have. Washington State allows for no-fault coverage. If you have no-fault coverage, regardless of who is at-fault, your insurance policy will cover your damages up to your policy maximums. Unfortunately, there are drivers on the road who don't carry enough coverage, or have no insurance. Which is why uninsured and underinsured motorist coverage can help pay for your injuries/expenses if you are in an accident with an uninsured driver or one who is unable to cover your costs. In Washington state, the Statute of Limitations (SOL) for many types of motor vehicle collision cases is three years from the date of the accident. Even though your SOL may not expire for quite some time, you may still want to promptly consult with Seattle car accident attorney in order to protect your rights, maximize the value of your claim, and increase the odds of a favorable outcome. .
Insurance companies want you to believe that handling Seattle MVA claims is a simple matter that you can do yourself, and does not require the assistance of an attorney who specializes in car wrecks. Insurance companies do not want you to hire a lawyer. But you should know that insurance adjusters are trained to reduce the amount of a settlement that you are paid. The only way to make sure that you get a fair settlement or award is to have a qualified car accident attorney who understands the insurance system, is well prepared and experienced in trying these cases in court, and of course, will do everything possible to fight for your rights. According to 2017 WSDOT data, an automobile collision occurs every 4 minutes and a person dies due to a car crash every 20 hours. According to WSDOT, the number of vehicle collisions with suspected serious injuries totaled 1,932 for the year 2017. Suspected serious injury collisions went from 1,896 in 2016 to 1,932 in 2017, resulting in 2,229 serious injuries. 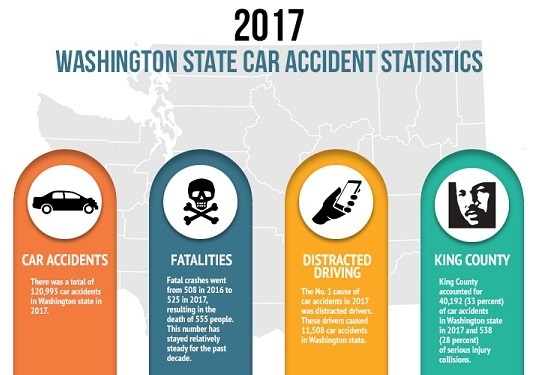 King County accounted for 40,192 (33 percent) of car wrecks in Washington state in 2017 and 538 (28 percent) of serious injury collisions. The number of fatal automobile crashes increased from 508 in 2016 to 525 in 2017, resulting in the death of 555 people. Fatal accidents in Seattle declined by 5% from 2015 to 2016, which is much better than the national and Washington state trends. Serious injuries for all types of Seattle traffic accidents increased by 19.6% from 143 to 171. According to the Seattle Department of Transportation, these ten roadways are Seattle’s busiest during weekday rush hour traffic. Head-On Crashes: Two vehicles collide head-on, the violent impact can cause very serious injuries or death. Hit-And-Run Collisions: When the at-fault driver flees the scene of a collision. Rollover Accidents: These incidents typically occur when a vehicle is trying to avoid a collision or an object or animal in the roadway. Rear-End Impact: Liability for a rear-end crash typically rests on the following vehicle. T-Bone (Side-Impact) Wreck: Most commonly found at intersections where one driver has run a stop sign or red light. Pedestrian Accidents: Pedestrians are vulnerable to serious injury in a collision because they are not protected by a vehicle. Parking Lot Fender Bender: Parking lots are private property, which can cause a number of legal issues in the event of an accident. Freeway On-Ramp Or Off-Ramps Accidents: Improperly or illegally-parked vehicles can cause a serious collision on the on-ramp or off-ramp of a freeway or highway. Distracted Driving: Drivers are often distracted by the cell phones, GPS systems, etc inside of the vehicle. Drunk Driving: Under the influence of alcohol . Drug Impairment: Under the influence of marijuana or other drugs. Dangerous Roadways: If a dangerous roadways or poor highway design. Teen Drivers: Inexperienced teen drivers may have a poor understanding of traffic laws. Reckless Driving: Vehicles traveling over the speed limit or following too closely. Roadway Debris: Unsecured loads can cause hazards from debris in the roadway. Uncontrolled Intersections: A lack of traffic control devices or signs. Illegal Turns: Illegal left-hand turns and U-turns at traffic signals or in uncontrolled intersections can lead to a serious accident. Speeding: Drivers traveling too fast for conditions. Snow Or Black Ice: Accident involving snow or ice on the roadway. Wrong-Way Drivers: Drivers who travel in the wrong direction of a road or highway. Most MVA victims don’t understand their legal rights. At Davis Law Group, our legal team focuses on helping our clients understand the law, their rights, and the claims process. Our award-winning lawyers are dedicated to helping you get the best possible result for your Seattle automobile collision injury case. 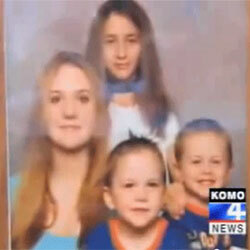 Call the experienced Seattle car accident attorneys at Davis Law Group. Call our Seattle office at (206) 727-4000. *Underinsured Motorist Bodily Injury, Underinsured Motorist Property Damage and Basic Personal Injury Protection coverage can be voluntarily rejected.